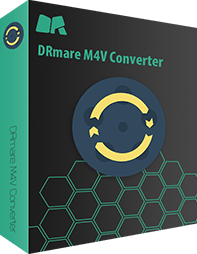 Convert iTunes DRM M4V videos to lossless MP4, M4V, etc. Preserve original AC3 5.1 sound, closed captions, AD tracks, subtitles, etc. Strip DRM Encryption from Apple Music, iTunes songs, Audible audiobooks. 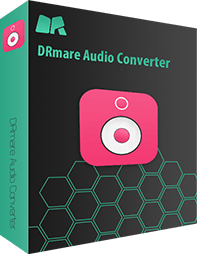 Convert DRM and non-DRM audios to MP3, AAC, M4A, FLAC, WAV, etc. Manage and personalize albums, split audio files, edit ID3 tags info. Keep original quality with up to 30X faster conversion speed. Download all Spotify songs, albums, playlists, artists with free subscription. 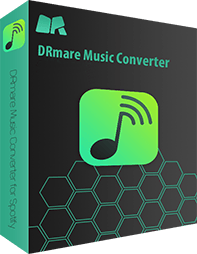 Convert Spotify OGG Vorbis to MP3, AAC, M4A, M4B, FLAC, M4B, WAV. Keep lossless quality, original metadata and ID 3 tags. Enjoy Spotify music on all popular media devices offline. 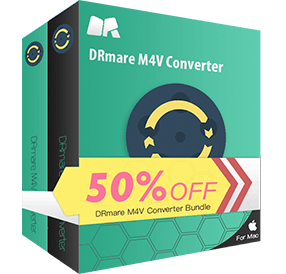 This bundle contains M4V Converter for Mac and Windows version enables you to remove DRM protection from iTunes M4V movie rentals and purchases on both Mac and Windows OS. 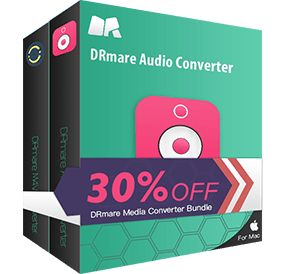 This DRM media converter bundle contains every tool you need to enjoy iTunes movies, TV shows, Apple Music, iTunes songs, audiobooks, Audible files freely without any DRM limit on any device. 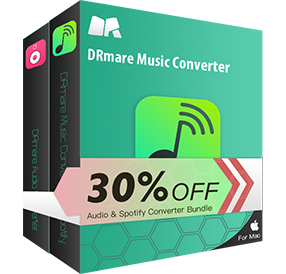 This bundle is special for audiophiles who like to listen to all kinds of music, podcasts, radio stations, audiobooks from the top streaming service providers such as Audible, Apple Music, Spotify and so on. 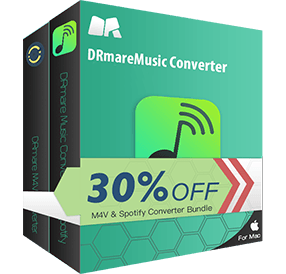 This bundle offers the useful tools to break FairPlay DRM from iTunes videos to play out of Apple's ecosystem as well as download Spotify songs, playlists, albums as MP3 for offline listening. All of our products come with a 60 day money back guarantee. Learn more by reading the Refund policy. If you have any question about the order, please read the FAQs or contact us at support@drmare.com.